Solid unmovable and reliable spiral mixer in varnished thick steel structure. Engine of the spiral with two speeds (100 / 200rpm) and bowl motor at one speed (14rpm). Belt transmission, dual timer with the possibility to work in automatically or manually mode and bowl inversion in first speed. This mixer works also with small flour quantities. Ideal machine for bakery. Spiral mixer composed of a fixed spiral and a hydraulic lift. The discharge of the dough can be made to the right or to the left in two different heights: 1400 mm on a common work table or 1900 mm within a hopper. 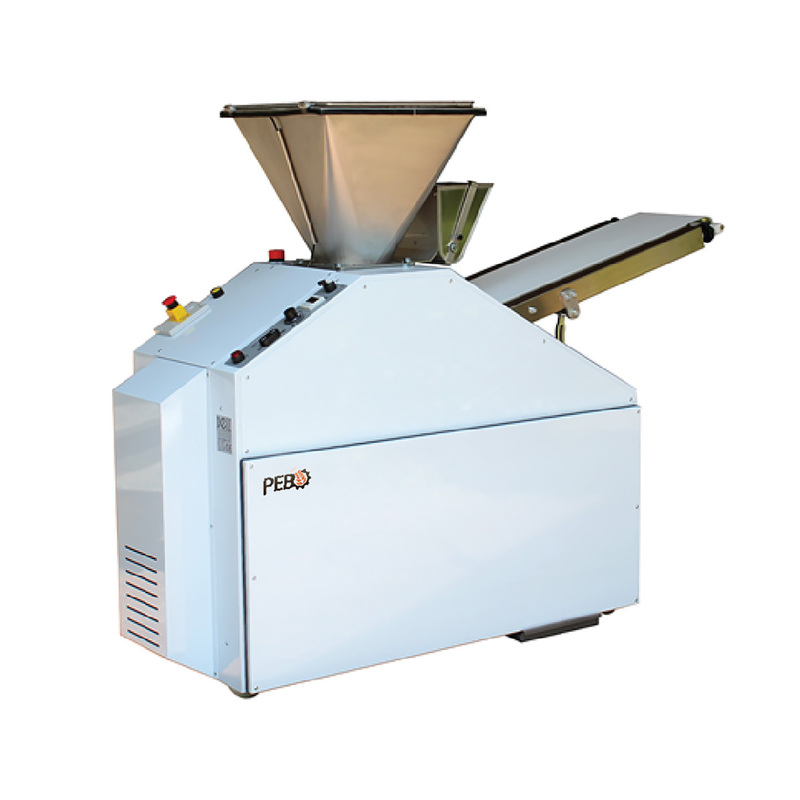 The dough extraction is facilitated by the rotation bowl button with manuals pulses. Available with digital operator panel or with double timer. Volumetric dividers with vacuum system with one or two cylinders according to the desired weight. The dough is worked in a very natural way without being overheated or mistreated. Machining speed adjustable by potentiometer on all models and different options available such as: stainless steel version, by rolling-cone system, adjustable conveyor belt and oversize hopper. 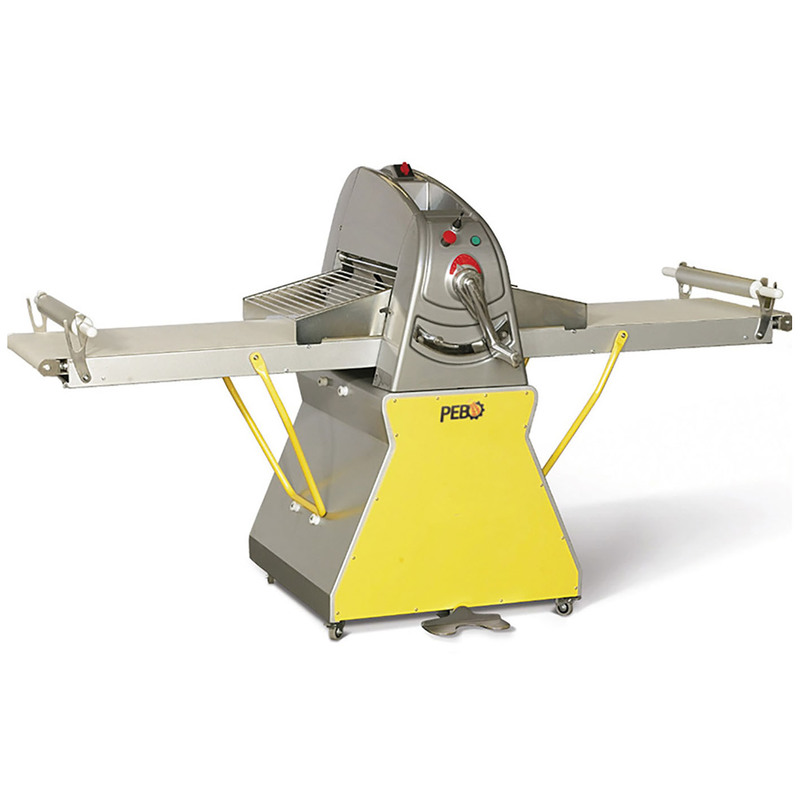 Machine which allows to cut a portion of dough into many small parts identical in weight and shape. Then, portions are rolled by simulating the hand movement. Depending on the model the operations of pressing, cutting and rolling can be carried out in automatic or manual mode. The blades cleaning is quick and easy facilitated by a button or a lever depending on the model. Very versatile machines ideal for bakery and pastry. The sheeter allows rolling, that is to say, lead to thin thicknesses also various types of dough both hard and soft as pasta, pizza dough, crackers and all kinds of puff both sweet and savory. The choice of the thickness of the dough takes place by means of a graduated lever, the handling of carpets is adjusted by means of joystick or pedal. Spiral mixer with removable bowl and hydraulic powered unit. The ascent and descent of the head as the engagement of the carriage is effected by a hydraulic control unit. powerful motors and thick texture make this mixer a solid and reliable machine. Operator panel available with timer or the digital version where you can store 100 different recipes. Considered the “Queen of the mixers” this mixer plunger simulates the human arm movements. 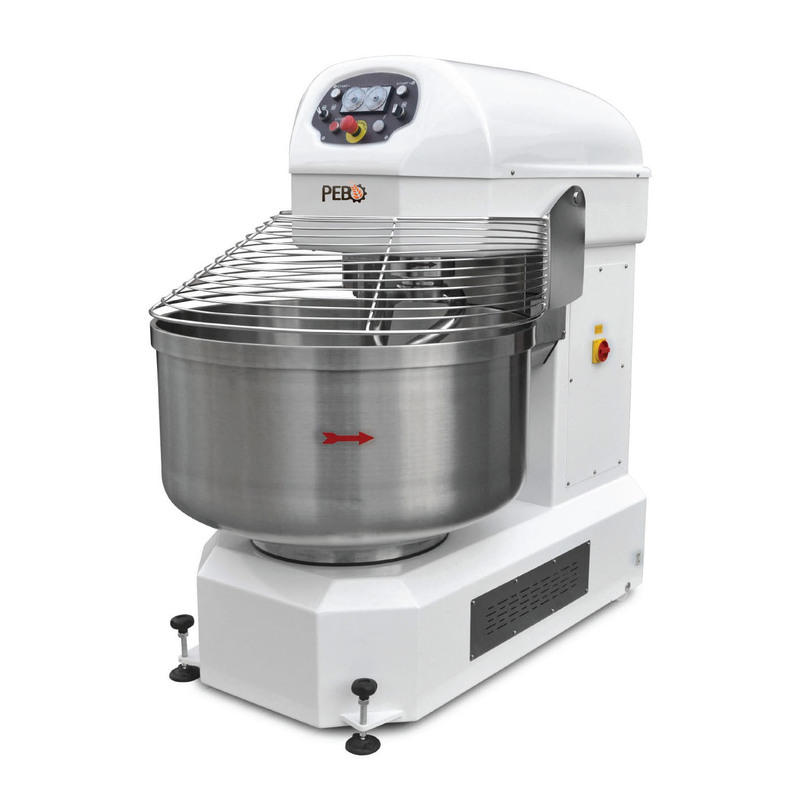 This system allows excellent blend ingredients without overheating or abuse the dough. Gears cast iron in an oil bath, double speed of dough: 40 and 60 beats per minute and an adjustable arm in standard height. Possibility to apply two timers for both speeds. Machine forming the two cylinders extremely versatile allows to obtain different kinds of bread wrapped such as bananas, valances, etc. loaves. Practical use, through two knobs you can adjust the aperture of the cylinders. Two different speeds carpets give the shape to the coiled portion of pasta. Available with rolling table to produce loaves baguette 60 cm long. Machine which allows to cut a portion of dough into many small parts by weight and equal hexagonal shape. Available various models to 17 or 37 to satisfy a wide range of weight basis. Depending on the model the operations of pressing and cutting can be done automatically or manually. The knife cleaning is quick and easy facilitated by a button or a lever on the model. This machine laminates and then rolls the dough portion through 3 nylon cyliders for feed purpose while the thickness is adjusted by a graduated lever. The paste is subsequently extended up to a maximum of 700 mm through two variable-speed adjustable carpets. Scrapers on standard cylinders. 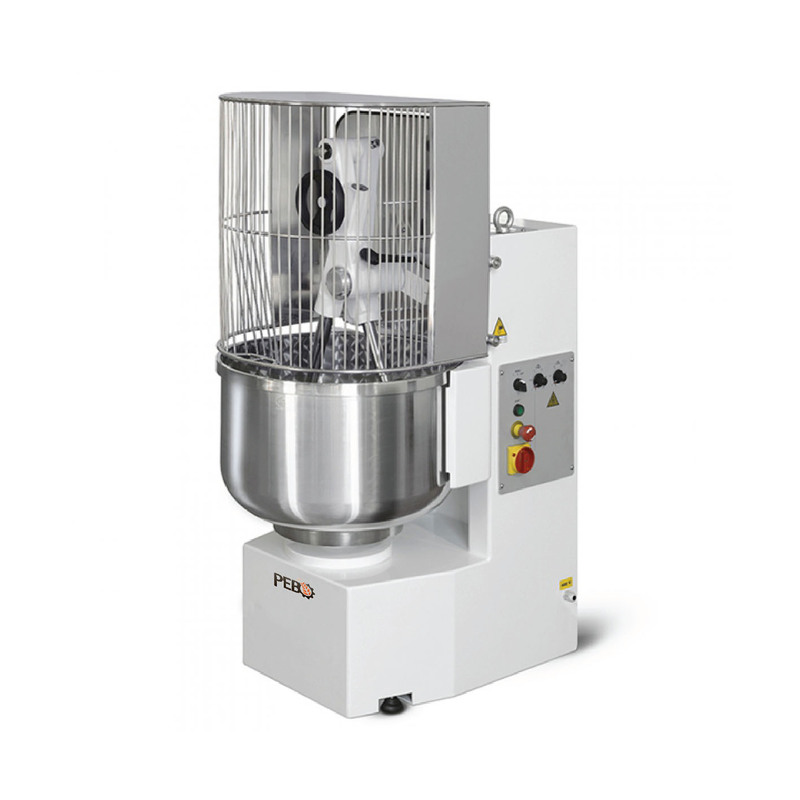 Solid, compact and easy-to-use machine ideal for bakeries and artisan laboratories.